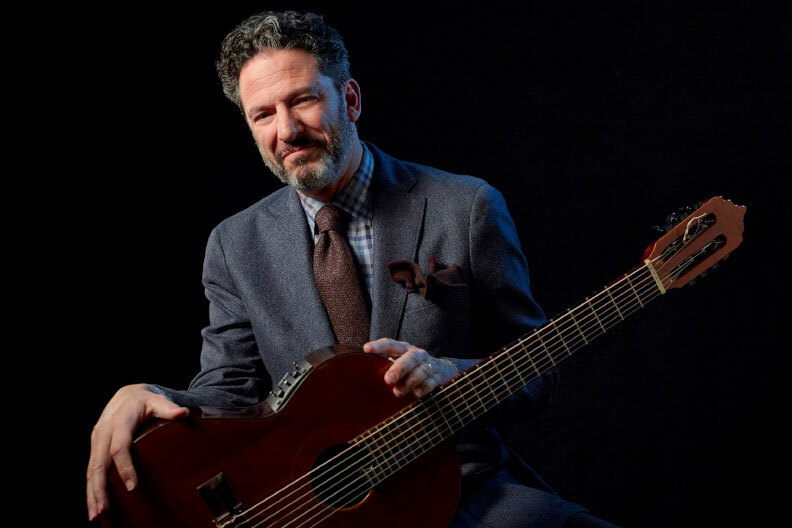 Jazz guitarist John Pizzarelli, whose interpretations of the Great American Songbook have been credited with renewing the popularity of jazz, and the renowned Elmhurst College Jazz Band will perform at the 23rd Annual June Jazz event on Saturday, June 16. The public is invited to bring lawn chairs, blankets, drinks and a picnic to this free outdoor concert, at 6:30 p.m. on the Mall of Elmhurst College’s lovely arboretum campus. Food and beverages also will be available for purchase. Guests are encouraged to come early, bring friends and enjoy this celebration of summer and the arts. For more information, call (630) 617-6186. This event is sponsored in large part by BMO Harris Bank. Beyond the standards of Frank Sinatra, Johnny Mercer and Nat King Cole, Pizzarelli’s expansive repertoire includes the music of Paul McCartney, Antonio Carlos Jobim and Joni Mitchell. The New York Times calls Pizzarelli “one of the foremost interpreters of Jobim’s bossa nova classics.” He has recorded more than 20 albums and toured North America, South America, Asia and Europe. Under the direction of Grammy Award winner Doug Beach, the Elmhurst College Jazz Band has performed around the world and has appeared at the Montreux Jazz Festival, the Umbria Jazz Festival and many others. DownBeat magazine, the nation’s leading jazz publication, recently named the Elmhurst College Jazz Band the Student Music Award winner in the Large Jazz Ensemble category for undergraduate institutions.